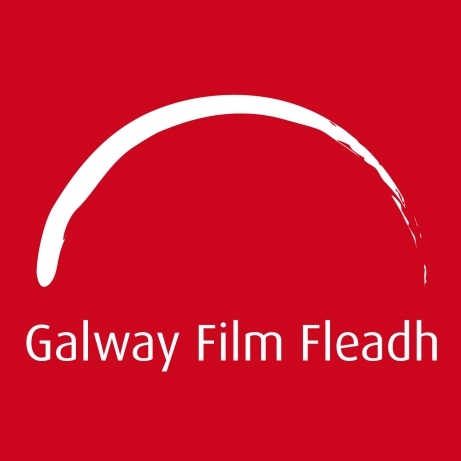 The Galway Film Fleadh pulls back the curtain to reveal the 2016 programme, complete with special events, special guests and a huge selection of cinema that will appeal to all audiences. Featuring fifteen World Premieres and countless European and Irish Premieres, this feast of film represents the newest voices in Irish cinema alongside a focus on cinema from Finland, daily programmes of shorts (with a shot at the Oscars on the line) and the best in world cinema. The Fleadh also offers an eclectic range of documentaries covering everything from musical mavericks and culinary creatives to humanitarian heroes and roller-derby rivals. With a reputation as an international launch-pad for the best in new Irish films and new Irish talent, this year’s programme features a number of particularly strong first features from debut directors, such as Richie Smyth’s stunning The Siege of Jadotville, which sees Jamie Dornan as Irish Commandant Pat Quinlan as he leads his Irish Battalion in a tense stand-off against local troops and French and Belgian Mercenaries in the Congo in 1961; The Young Offenders, a hilarious comedy inspired by Ireland's biggest cocaine seizure of €440 million off the coast of Cork in 2007, which follows two Cork inner-city teenagers as they embark on a 160km road trip on stolen bikes in the hopes of finding some unrecovered bales; While Darren Thornton’s debut A Date for Mad Mary meanwhile is a pitch perfect snapshot of modern Ireland featuring a breakout performance from Seåna Kerslake. Speaking at the launch of the 28th Galway Film Fleadh, programme director Gar O’Brien said, “We are delighted to reveal such a comprehensive programme and we are looking forward to providing a platform for some of the best new and established Irish filmmakers as well as bringing films and talent from all over World to the west of Ireland”. Another World Premiere is Property of the State which tells of the harrowing circumstances that lead to a triple murder which shook 1990’s Ireland. In View is screenwriter Ciaran Creagh’s directorial debut, which features a standout performance from Caoilfhionn Dunne. Friday, July 8th will see the unveiling of the World Premiere of Liam Gavin’s unique occult horror A Dark Song. Part fiction, part documentary, part speculative essay on the contemporary world, History’s Future is about one man’s odyssey through a Europe in turmoil – and through his own mind. We then take a journey into a very modern ‘Heart of Darkness’ with two desert-bound mercenaries in Simon Dixon’s gripping debut Tiger Raid before Mark O’Connor and John Connors introduce us to a group of young gangsters as they attempt to gain control of the drug trade in Darndale in the thrilling yet poignantCardboard Gangsters. This is without mentioning some of Ireland’s best independently made films in South, Twice Shy (by our good buddy, Tom Ryan) , Dead Along the Way and Staid. The opening film of this year’s Galway Film Fleadh will be Creative Control, which is set 5 minutes in the future it is a drama science-fiction film, directed by Benjamin Dickinson from a screenplay written by Micah Bloomberg and Dickinson. Closing this year’s fleadh is Galway-produced Sanctuary. Set in a world of people with intellectual disabilities, Sanctuary is a touching and funny love story about Larry and Sophie, two people who long to be together in a world that does everything to keep them apart. On the Documentary front, we present some truly impressive titles including the World Premieres of It’s Not Yet Dark which tells the inspiring story of director Simon Fitzmaurice (My Name is Emily) and Revolutions, Laura McGann’s exploration of the fast paced & aggressive roller-derby world which has become a haven for determined, pissed-off women in a crippled country. Esteemed documentarian Ken Wardrop (His & Hers) presents the Irish Premiere of his latest film Mom & Me which explores men’s relationships with their mothers in the US’s ‘manliest state’ while Brendan Byrne examines Bobby Sands’ legacy in Bobby Sands: 66 Days. Crash and Burn tells the story of Tommy Byrne who for one brief moment in the 80’s was the World’s best racing driver while Land of the Enlightened is a visually sumptuous examination of war-torn Afghanistan. Programme highlights include a focus on female filmmakers with some 30 films directed by women directors screening as part of this year’s programme; a focus on Finnish Cinema, featuring work that covers everything from cave-diving and cheerleading in, to Sweden’s 17th century “queer Queen Kristina and her lady love”. A full menu of Films looking at food and drinks, a showcase of the best cinema made in, by and about Galway; a complete set-list of the best music documentaries from around the world, and of course the best in Short Films and New Irish and World Cinema. The subject of this year’s public interview in the Town Hall Theatre is the titan of Irish cinema Jim Sheridan. Other special guests include Ruth Negga, who is receiving well-deserved Oscar buzz for her performance in Loving and critical acclaim for her role in the series Preacher, as the subject of our Actors masterclass and screenwriter Kirsten Smith(Legally Blonde, 10 Things I Hate about You) who will deliver our screenwriters masterclass. For details on these screenings and much more, including masterclasses, Q+A’s, panel discussions and musical accompaniments, check out galwayfilmfleadh.com.